Sydney, Australia is one of the world’s great cities. It has a beautiful harbor like San Francisco, a thriving Chinatown like New York, a mix of old and new architecture like London, and a vibrant performing arts culture like Paris. But it has one huge advantage over all those other cities – great beaches are just 30 minutes from downtown. 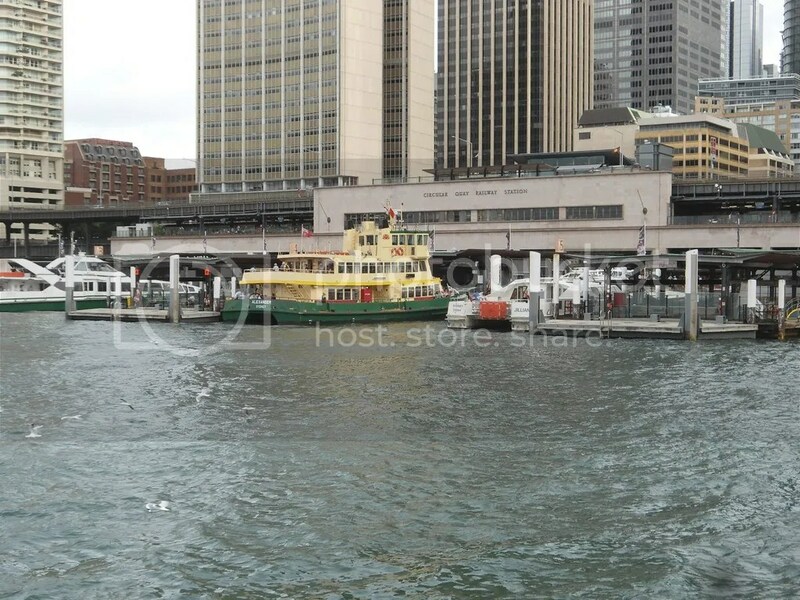 As befits a city whose early inhabitants arrived on sailing ships, life in Sydney centers around Circular Quai -pronounced “key” – the harborside transportation hub where all ferries, most bus and most train routes intersect. A few steps East of the ferry wharf is the iconic Sydney Opera House. A few steps West lies The Rocks, the area where the very first settlers came ashore. A visitor could spend a week in the vicinity of Circular Quai, with its plethora of hotels, shops, restaurants and cultural opportunities, and never be bored. Just a 5 minute walk from Circular Quai is the Central Business District, or CBD. 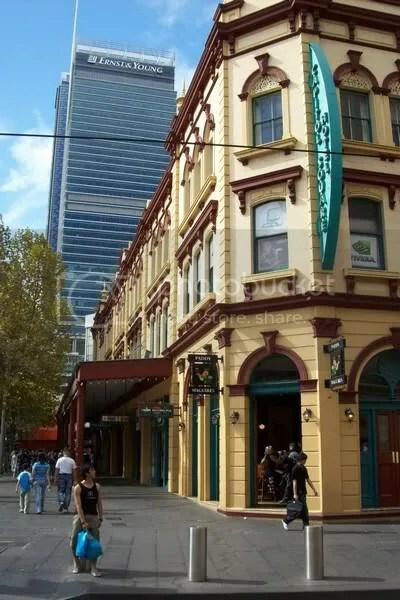 It bristles with modern skyscrapers of chrome and glass but is also studded with historic buildings dating back to the 1800’s. The story goes that the city experienced a building boom during the 1970’s, aided in no small measure by the completion of the Sydney Opera House. Older structures were being demolished at a furious pace to make room for new office towers until the head of the local construction union – a man known for being stubborn and cantankerous – decided enough was enough. He pulled his men off all the demolition projects and served notice that they would not return to work until some historic preservation guidelines were set. Thanks to his efforts, many beautiful building were saved from the wrecking ball and Sydney now features an architectural heritage that spans its entire existence. One of the marvels of the CBD is the Queen Victoria Building, a 5 story enclosed shopping mall that stretches an entire city block. Hundreds of trendy shops and eateries fill its cavernous interior. Hanging from the ceiling in the middle of the building is a fantastic clock that shows the time, the month, the day of the week, and the phase of the moon. Its second hand is a sailing ship that circumnavigates the timepiece once a minute. It is one of the world’s great time pieces. 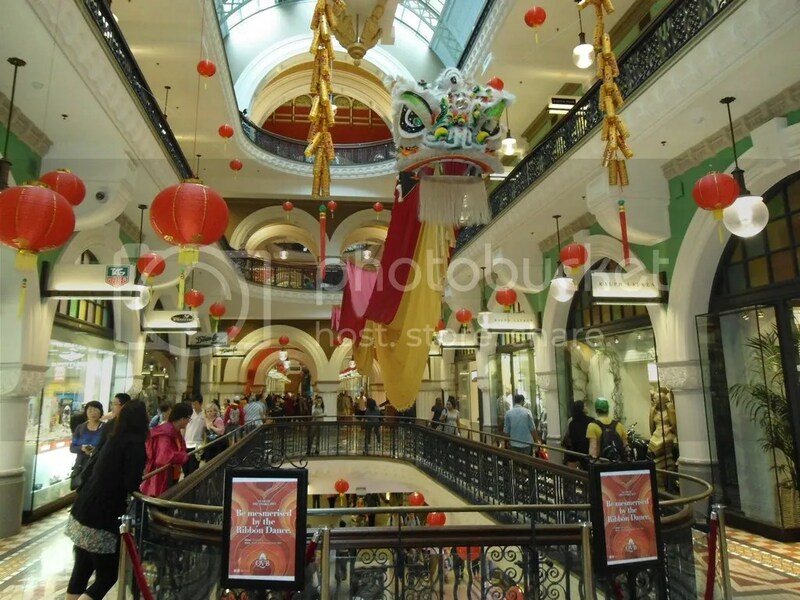 Inside the Queen Victoria Building, a celebration of the Chinese New Year is underway. 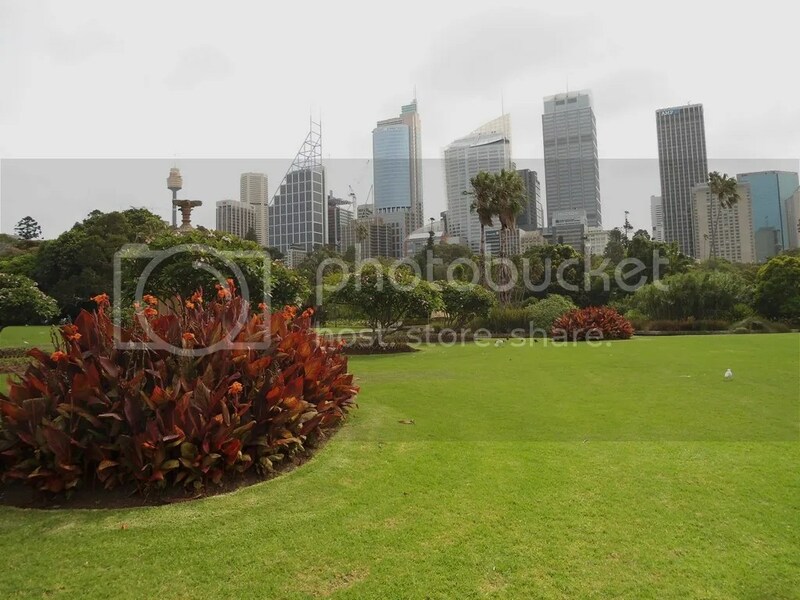 At the edge of the CBD, you can step across the street and be in one of Sydney’s glorious public parks. The Botanical Garden is an area filled with exotic plants and trees that begins at the harbor and extends inland along the edge of the CBD for 2 miles. As is normal in Australia, clean public restrooms are plentiful. There are no “Rest Rooms For Customers Only” signs anywhere. America could learn a lesson from the Aussies about the basics of hospitality. After World War II, Australia opened its arms to people of every nationality and culture. I believe Sydney is the most culturally diverse community I have ever visited. In the Newtown neighborhood, just a short drive from the CBD, restaurants featuring offerings from the Near East, Middle East, Far East, Europe and South America extend as far as the eye can see. Pizza is also in plentiful supply, of course, having conquered the world the way the Roman Empire never could. 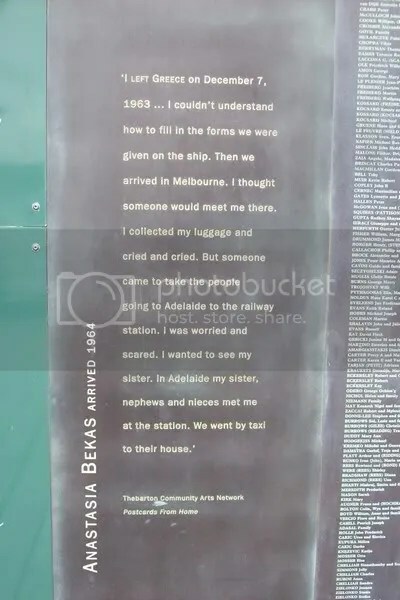 At the ferry landing in Darling Harbor stands a Welcome Wall honoring the steady flow of immigrants to Australia over time. What other country celebrates its immigrants in this way? 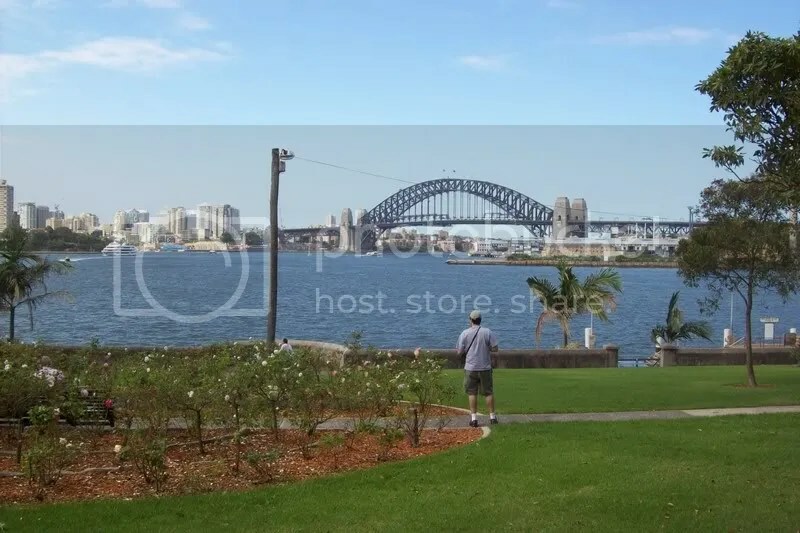 For the visitor, Sydney is blessed with an outstanding transit system that makes it possible to see the entire area from the comfort of a bus, ferry or train that is clean, quiet and on time. When the schedule says the train to Cronulla leaves at 1:00 p.m., it means exactly that – not one minute before or one minute after. I even heard the crew of a ferry boat come on the intercom and apologize to passengers for being 5 minute late – and this was during rush hour. Try that on the Long Island Railroad! You can buy a MyMulti weekly pass that permits unlimited travel on any bus, ferry or train for a paltry $60.00 a week. That may be the best transportation deal on the planet. One aspect of Sydney that fascinates me is the variety of neighborhoods surrounding it. 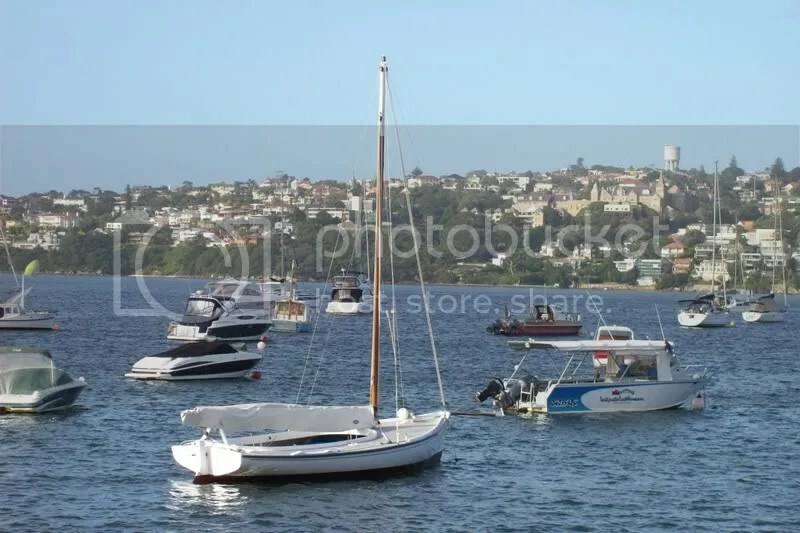 From the ferry, one can visit such harborside communities as Kiribilli, Neutral Bay, Mosman, Double Bay, Rose Bay and Manly. Each one is a jewel nestled on the shores of the harbor, with its own distinctive culture and charm. I have yet to visit the other metropolitan areas of Australia – Melbourne, Brisbane, Adelaide, Darwin and Perth. Perhaps some day I will, though the distances between cities is enormous. Melbourne is a 10 hour train ride from Sydney. Yet there is an allure about Sydney that puts a smile on my lips every time I think about it. I can’t wait to go back. Maybe that’s the best endorsement of all. Sydney Harbor and the Harbor Bridge from the ferry dock at Balmain East. 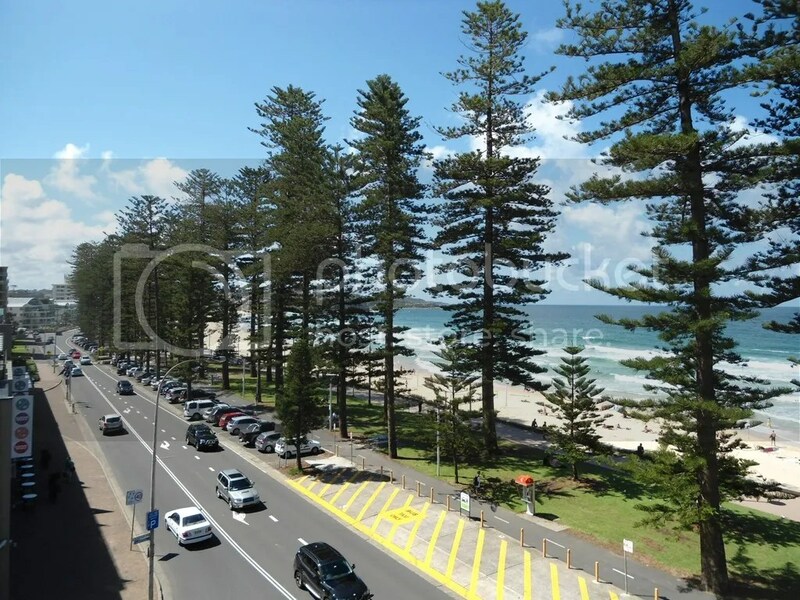 The town of Manly is just 30 minutes north of Sydney, Australia by ferry. It is a town that caters to tourists and young professionals who make their living in the city but prefer to live in a place that is more relaxed and with less congestion. It also boasts one of the finest ocean beaches in the world – warm brown sand, abundant surf and a tree lined promenade that stretches for two miles or more along the verge of the Pacific. 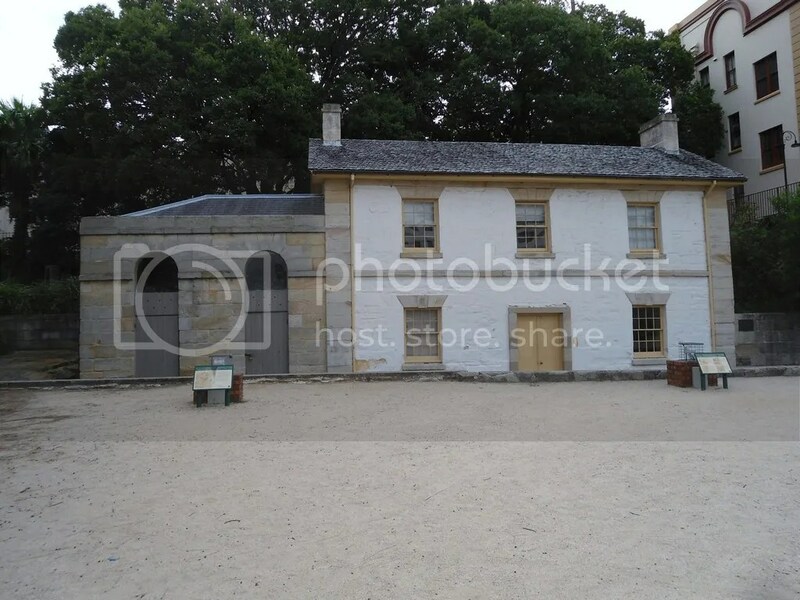 My wife and I went to visit Manly during our recent trip to Australia. We chanced upon a delightful small hotel that had an ocean view and a roof top sundeck with pool that was reasonably priced. We liked it so much, we wound up calling the kids back in Sydney to say we had decided to stay an extra night. 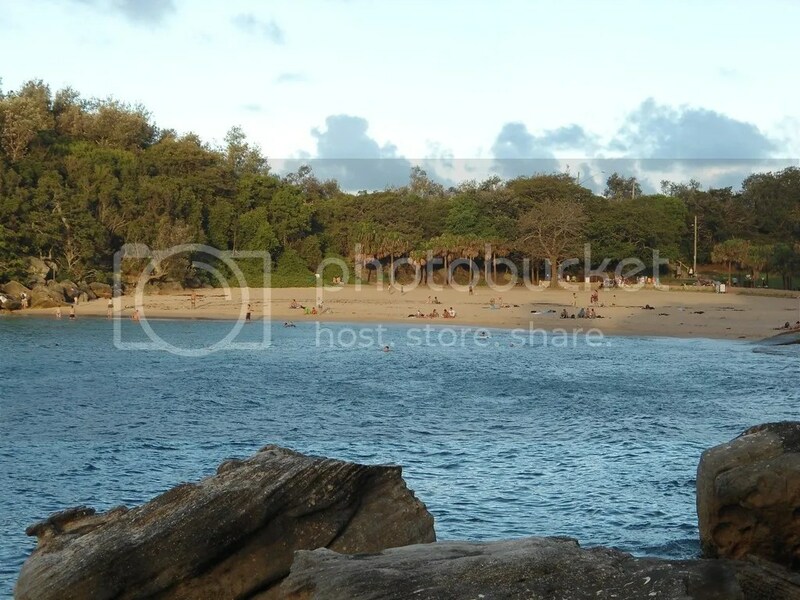 Protected beach just a 10 minute walk from Manly. Aussies are an active lot. Everywhere we looked, people were walking, jogging, biking, surfing, or taking courses at the local surf rescue school. At 7 a.m., we looked out the window to see a group of young men and women taking boxing lessons on the beach. Later, we watched as a young family went power walking down to the ferry landing to see Dad off to work in Sydney. He had his briefcase and suit coat over his shoulder. She was pushing the double wide stroller so the kids could wave to him from the shore. Somehow, commuting by ferry doesn’t seem as numbing as taking the Long Island Railroad into Manhattan every day. Every time we go away, we ponder what it would be like to live in the areas we visit. Mostly, reality kicks in after a little while and we are glad to get back home when the journey is over. But we could live in Manly and be very happy. 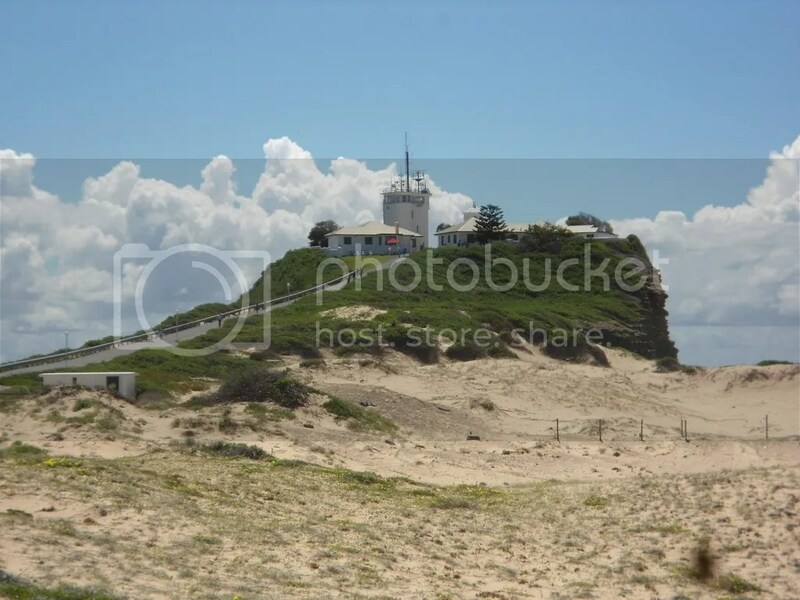 It is a nice blend of beachside life in a warm and scenic setting but with all the benefits of the city just a ferry ride away. Later in our travels, we spent an afternoon at Bondi Beach, one of the most iconic shorefront communities in the world. 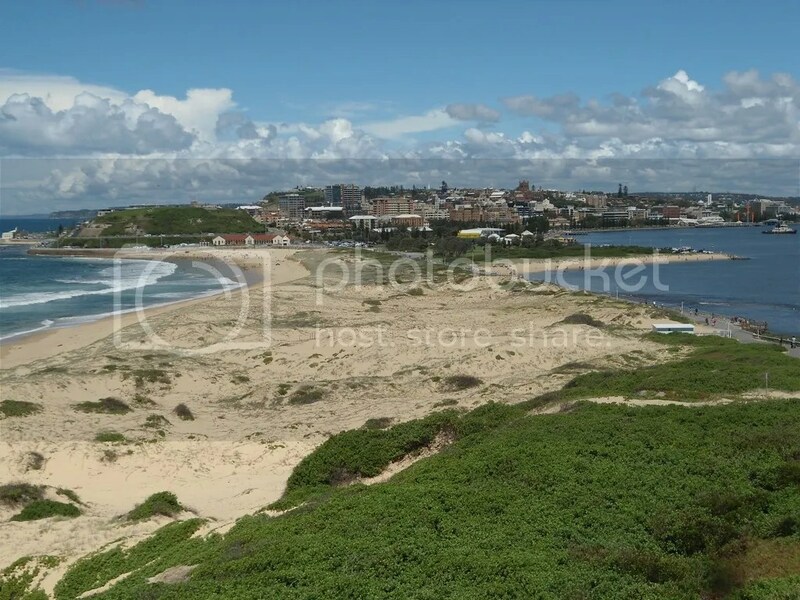 But as pretty as Bondi is, the area was too crowded, too frantic and had too much traffic for our tastes. 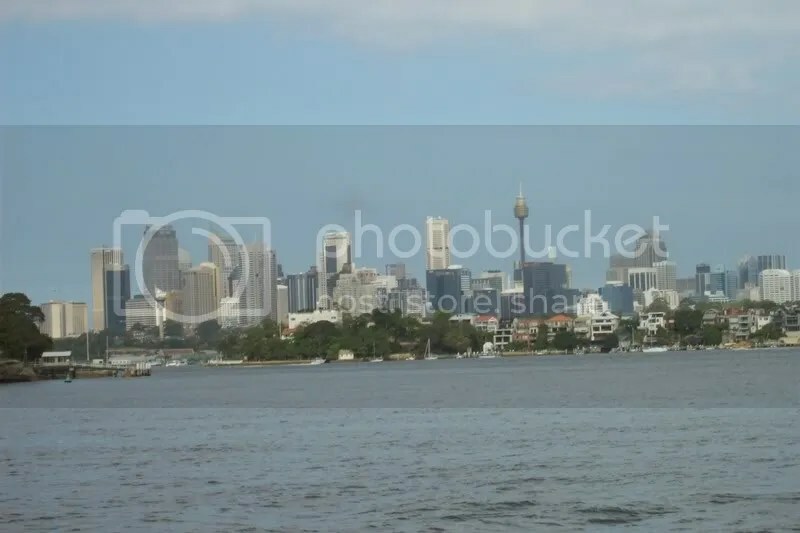 Plus, there is something about taking a ferry ride on Sydney Harbor that is delightfully relaxing, especially compared to the combination of trains and buses needed to get to Bondi. We’re not sure when we will be going back to Australia, but we know that when we do, more time in Manly will be on the agenda. Lovely town. 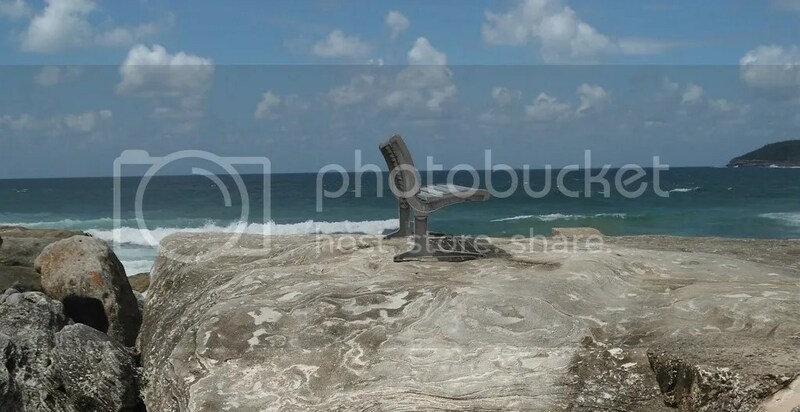 Can’t wait to sit on this bench again and gaze out at the town of Manly and the ocean beyond. A peaceful place by the sea. You can see all of the photos from the Manly excursion at this link. Enjoy! When you think of Australia, what image comes to mind? 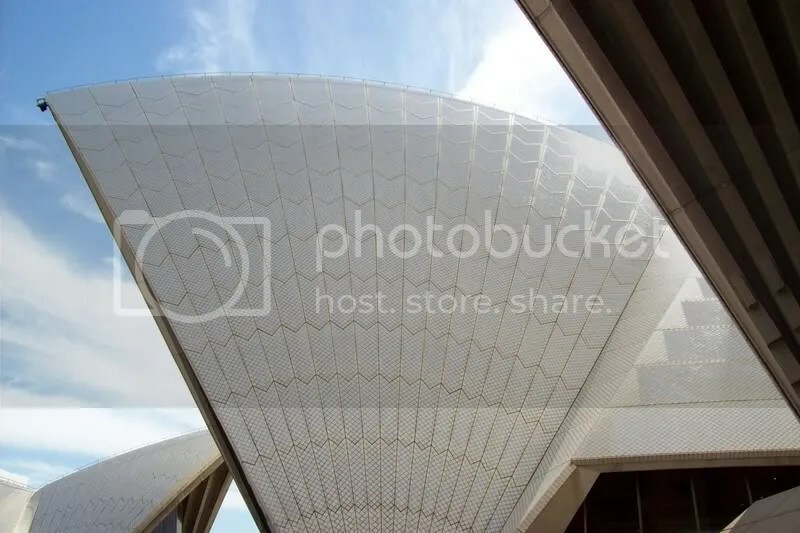 For most folks, it is the Sydney Opera House, that iconic building that stands on the shores of Sydney Harbor. There really is no structure quite like it anywhere else in the world. During World War II, Australians were shocked when England all but abandoned them and then had the nerve to ask their soldiers to go help British forces elsewhere. Suddenly, they found themselves all alone in the vast Pacific. It was then they realized they were not really a part of Europe at all, but rather an adjunct of Asia. That rude awakening caused a national identity crisis. The Sydney Opera House changed all that. Just as the Taj Mahal stands as a symbol of India, this bold, sweeping structure on the shores of Sydney Harbor has come to define how Australians see themselves and and how the rest of the world sees Australia. The story of how the Sydney Opera House came to be is a fascinating tale. In 1948, the director of the Sydney Opera proposed the construction of new facility. A call went out around the world for people to submit design proposals. Most of them were insipid or derivative. Some were just square concrete boxes reminiscent of Soviet era architecture. But one, from Danish architect Jørn Utzon, was different. So different, in fact, that it was rejected initially by the design committee. Utzon’s submission amounted to little more than some rough sketches with few architectural details. But his vision so impressed world renowned architect Eero Saarinen, who was asked to help make the final selection, that it was rescued from the pile of discarded designs and declared the winner. Sydney was scandalized. The concept was too bold, too out of the ordinary, too brash. Many doubted whether Utzon’s vision could even be built. But Sydney decided to push ahead and construction started in 1958. Due to the enormous engineering challenges presented by the design, the building would not be completed until 1973. Its most distinctive elements are the sparkling white roof panels that soar above the harbor. Some say they represent the billowing sails of the ships that brought most Australians to these shores. Others say they are really a temple to the power of music. To me, the building reflects Australian culture as it has evolved in the post war period – bold, confident and assured. In 2008, I had the excuse I needed to finally make the long journey Down Under to see this magnificent building for myself. My son Matt had moved there the year before. During a trip to visit him, I took him and his wife to a piano recital at The Opera House. Since we bought our tickets at the last minute, we were seated way at the back of the concert hall, yet the exquisite acoustics in the theater carried every note clearly to our ears. It was like we were sitting close enough to reach out and touch the piano. Incredible. On our trip in February, my wife and I attended a play at the Opera House. Afterwards, we sat outside on the promenade between the Opera House and the harbor. 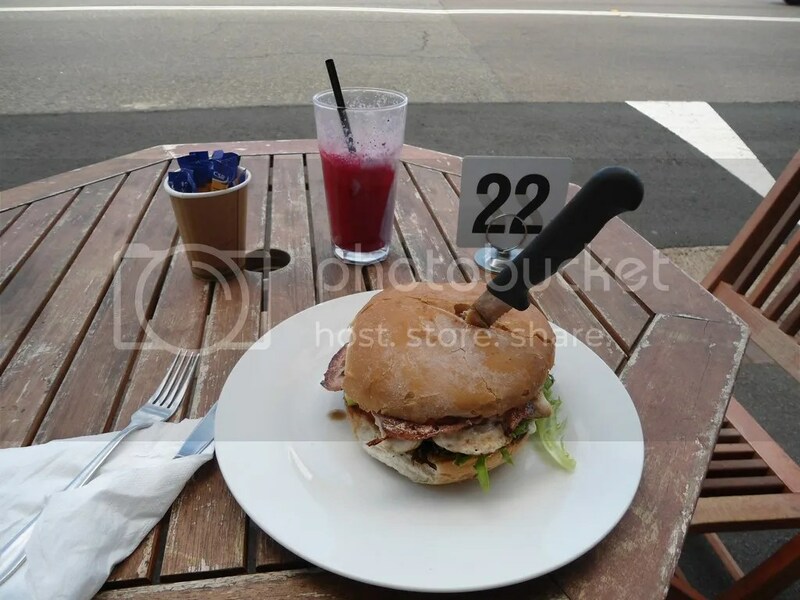 There are several cafes along the waterfront and the area is always packed with people. It’s as if the building is a magnet, attracting tourists and locals alike to come bask in its aura. Visiting the Sydney Opera House in person has been the defining moment of my globe trotting adventures. The building is such an enduring testament to human achievement that it is worth the trip even if you do nothing else in Australia. I am grateful that I have had the opportunity to take all the photos that accompany this post personally with my very own camera, rather than just plucking them from Google Images. I think that makes me a very lucky fellow. There has been about a three week gap since my last post, caused entirely by being out of the country on an extended trip to Australia to visit family and further explore that island continent. If you are so inclined, you may read the entire saga of my 2009 journey to Oz at this link – Australia 2009. After a few days with Matt and his family in Sydney, I took the train 2.5 hours north to the seaside community of Newcastle, rumored to be the 6th largest city in Australia. Once there, I found a delightful habitation nestled against the Pacific Ocean on one side and an ocean estuary on the other with beautiful beaches everywhere. I spent about 3 hours traipsing about, taking photos and absorbing the local atmosphere. The high point of my day was a delightful grilled chicken sandwich with bacon and avocado, eaten whilst overlooking the water. Umm….umm. Delicious! I rather enjoyed my visit to Newcastle. The rain that pelted the train on the way up gave way to a gorgeous day of blue skies dotted with cottony clouds. I got quite a bit of sun just walking around – a reminder that Australia is a bit nearer the Equator than we New Englanders are accustomed to. Sunscreen is not an option. Whether Newcastle is a large town or a small city makes little difference. It is a comfortable and inviting place to be that features extensive green space, exquisite architecture and a rolling terrain reminiscent of San Francisco. And it has Old Nobby keeping vigil over the surroundings night and day. Not every place can make that claim! For more photos of Newcastle, please follow this link.